★★★★★ I obtained these very nice sunglasses to use in a display in which they are placed upon a mannequin face and head. They are perfect in this instance. ★★★★☆ They fit a little loose, but I do like them a lot! 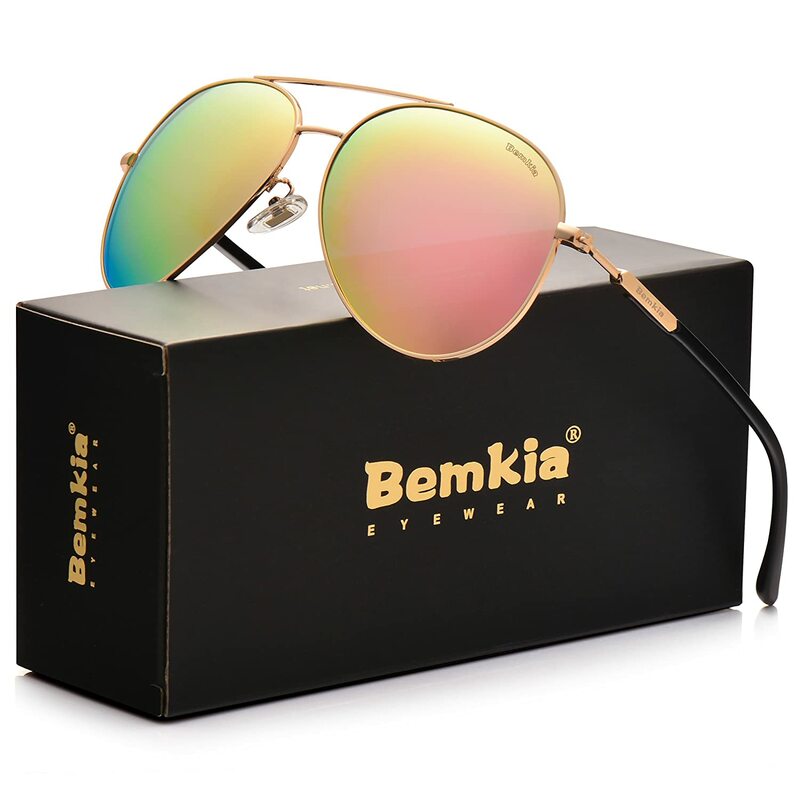 ★★★★☆ The Bemkia sunglasses are very nice and lightweight. I love the color. The first time I tried cleaning them one of the lenses popped out but I was able to fix it. The case that comes with it is so convenient as well! ★★★★★ Excellent packaging, presentation, and look! Love them!